One of the simplest actions countries can take to provide an equity-enhancing, economically efficient response to climate change is to provide a price for GHG emissions that incentivizes energy efficiency. Unlike many policies that are specific to individual technologies or sectors, carbon taxes tend to be economy-wide. The focus of this analysis is on the impact of an economy-wide carbon tax on the energy consumption and carbon emissions of US commercial buildings. how much do different trajectories of carbon pricing reduce CO2 emissions from the U.S. commercial building sector, and what proportion of these reductions are due to changes in carbon intensity, energy intensity, and GDP effects? which types of commercial buildings, end-uses and technologies are most responsive to a carbon tax? how do carbon prices affect markets when implemented in conjunction with strong complementary policies such as commercial building codes, equipment standards, and financial incentives? what are the geographical effects of carbon prices on commercial building energy efficiencies, using the nine U.S. Census divisions. These results were presented at the 2012 ACEEE Summer Study on energy efficiency in buildings, and were also published in the conference proceedings. Brown, Marilyn A., Matt Cox, and Xiaojing Sun. 2012. 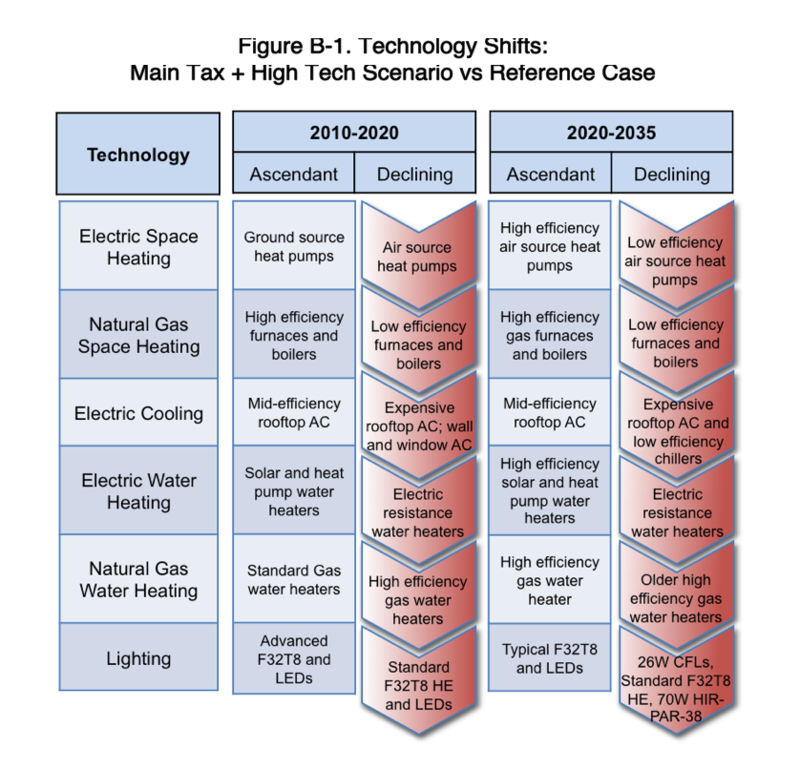 “Modeling the Impact of a Carbon Tax on the Commercial Buildings Sector,” Georgia Institute of Technology, School of Public Policy Working Paper (https://spp.gatech.edu/publications/pub/1442).